Galaxy DX98VHP 10 Meter 200 Watt AM SSB Mobile Radio is the highest output radio available from Galaxy! 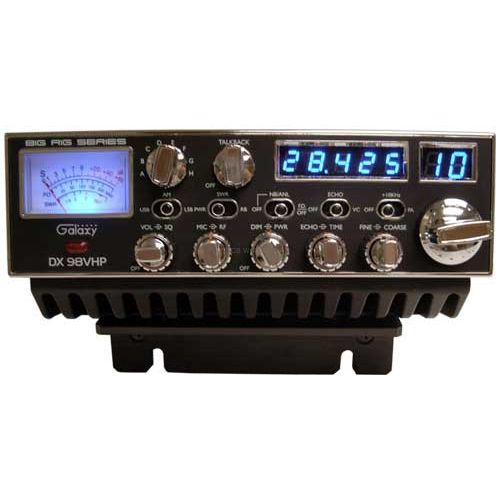 The Galaxy DX98VHP is a very high power radio capable of pushing 200 watts of modulation. The DX98VHP has a pleasing blue hue while operating the LED frequency, channel display, and meters are all blue in color. The blue Starlite faceplate makes the DX98VHP perfect for day or night use since it's easy to read the display at a glance with less eye strain. The DX98VHP sports an information loaded 3 in 1 meter that allows easy monitoring of SWR, power, and signal strength. Positive control knobs, adjustable echo, variable talkback, voice changer, roger beep, built in frequency counter, and variable power round out the feature set of this amazing very high power radio from Galaxy. Big power, loads of features, topped off with the Galaxy name and renowned support. Available today at CB World, your number one shop for CB and 10 meter radios and antennas! Variable Dimmer Control: Fully adjustable control for faceplate, channel, frequency, and meter displays. 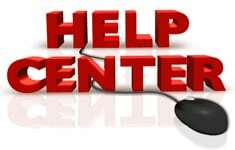 Looking for a replacement power cord? Check out the DXCORD98. Would you like to use this as a base station radio and need a power supply? Check out the PS52K.